Once again Browning were in attendance at this years 'Big One' show spectacular, which is held yearly at Farnborough Airport in Hampshire. 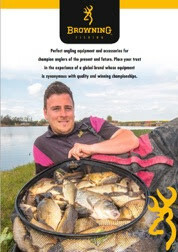 The show is renowned for being the UK's largest fishing show - With a colossal 210 exhibitors from all over Europe in attendance and 30 more tackle stands than last year, it just keeps on getting bigger and better! This year the decision was made to alter things a bit, instead of having a combined stand showing all the products from our parent company Zebco Europe, like in previous years, it was decided to individualise a couple of the brands by them having their own stands. 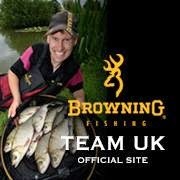 The 2 brands given their own stands were Browning and Quantum, which are Zebco's 2 most popular brands in the UK. 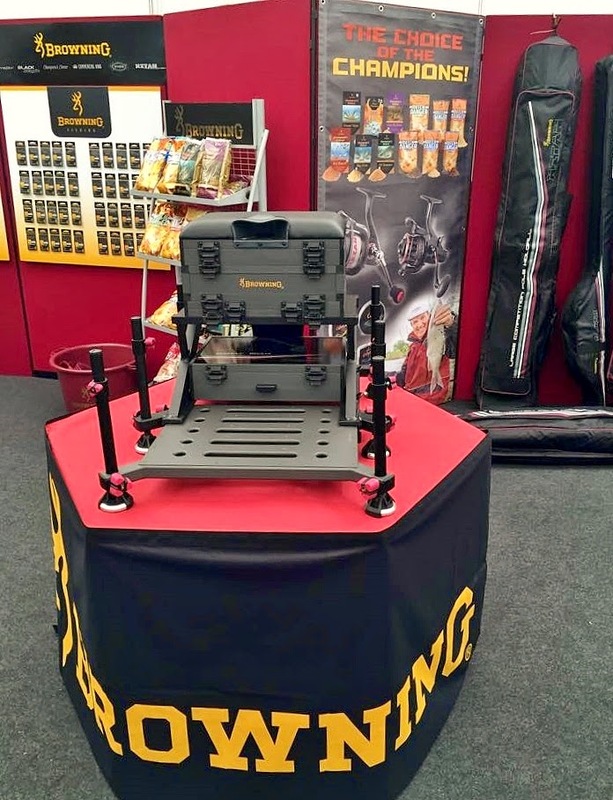 In addition to this we also had the Browning Pole Alley stand which for this year was doubled in size due to the popularity at last years show. Sir Bob Nudd On Hand! 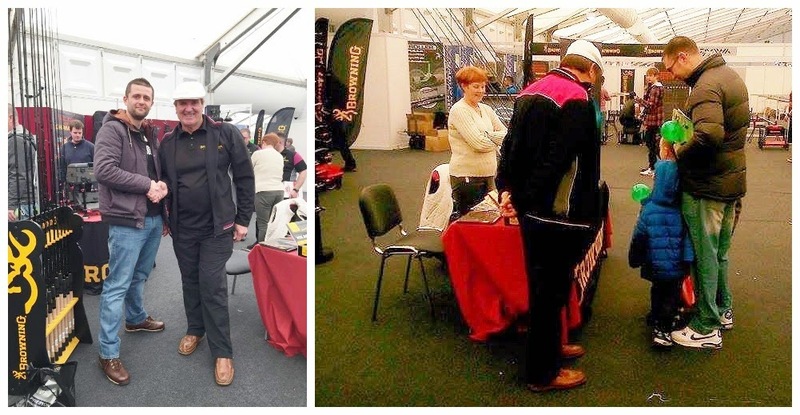 During the two days Browning's ambassador Sir Bob Nudd was on hand to offer tips and advice. We all met for breakfast on the first morning and this gave us the opportunity to sort everybody's position at the show; I was asked to work on the Pole Alley stand, which I was really pleased with as I thoroughly enjoyed it last year. We made our way to the show, which was a 5 minute drive from the hotel and arrived at 8am as the show opened at 8:30, this gave us enough time to put the finishing touches to everything. The doors opened bang on time and after a quiet start, we started getting a steady stream of customers coming to the stand. The 2 main attractions were the Xitan Z14 and the Champions Choice Silverlite. The reaction to both of these pole was unbelievable, they were both a massive hit. 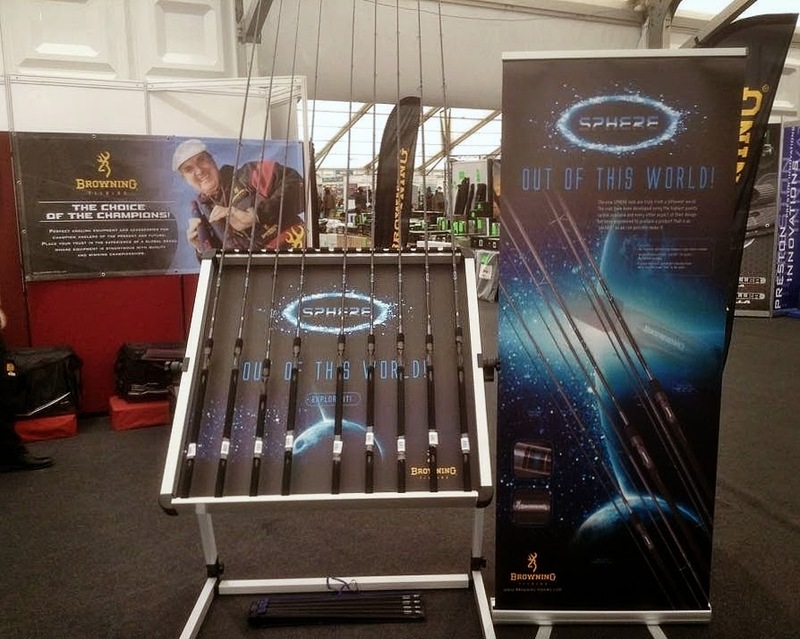 On the main stand the reports were extremely positive with the highlight been the awesome Sphere rod range. This show was the first time the full range had been on show in the UK and the reaction was incredible. Another highlight on the stand was the new competition seat box. The box is available in 2 different styles, the competition box and the feeder box. The main differences been the legs and the draw combinations. The end of the day arrived and we had all been run off our feet. I was glad to get back to the hotel for a quick shower, a meal and a few beers then bed. Ready to do it all again tomorrow. Day 2 started slightly later which gave us all an extra hour in our beds,which was well needed. We made our 5 minute journey to the show and made sure everything was in place for day 2. Expectations were that it would follow a similar path to the day before. To be fair it did on the main stand, but on the pole stand a different path was followed. 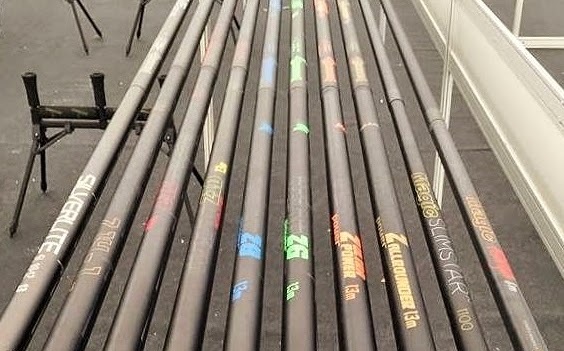 Yesterday everybody seemed interested in the Z14 and the Silverlite, today a lot of people wanted to look at the early to mid range poles such as the Allrounder, the UltraPower, the Z6 and the Z8 as well as the Xitan Margin pole. We had a theory that the majority of match anglers had probably visited on the Saturday and were fishing matches on the Sunday. This could be what was responsible for the change in interest. The morning and early afternoon was pretty hectic again, but as the afternoon wore on the crowds thinned out quite quickly. The end of the show arrived and it was time to pack up and dismantle the stand. It took a good 10 of us a couple of hours to get everything packed up and loaded on to the van . We then had the joys of a 4 plus hour drive home - But not before some of our guys enjoyed a well earned rest!